Florida has approximately 50 species of snakes, with six being venomous and can be highly dangerous. These venomous snakes include the Eastern Coral Snake, Pigmy Rattlesnake, Timber Rattlesnake, Eastern Diamondback, Cottonmouth/Water Moccasin, and Southern Copperhead. 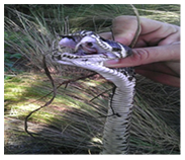 Despite this, snakes play an important part in the ecosystem because they eat insects, rodents and other small prey. However, you do not want to have snakes in your pool, house, or yard, which can be a problem. Don’t be a hero and get yourself hurt. Call on a professional to help you. Armadillos are destructive animals can carry diseases, such as leprosy. Armadillos are also destructive as they dig beneath the surface of the ground to find insects, worms, and roots and leaves nuisance holes. Once these small, shelled mammals find healthily green spaces, such as lawns, gardens or golf courses, they stay as uninvited guests until the damage becomes widespread. Save yourself or your lawn service money and time by making repairs to your property from damage caused by these critters. Another feral animal that is a nuisance in Florida is the wild hogs. Similar to armadillos, they dig beneath the surface of the ground to find food. As larger animals, the amount of damage they can cause to property in a single day is massive. These animals can weigh as much as 400 pounds. They also get very defensive when protecting their young, and can be dangerous to people. Wild hogs are omnivorous and feed on both meat and vegetation. They also carry a disease called brucellosis, which is dangerous to humans. 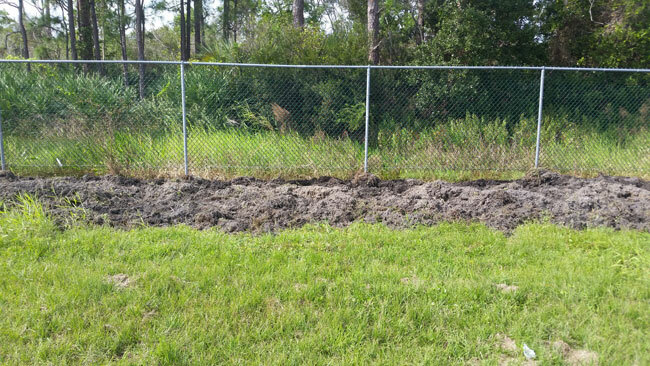 We can solve your wild hog problem, removing them and saving your lawn and property. Muscovy ducks are a nonnative bird in Florida that have been known to overpopulate in a neighborhood, leaving piles of duck waste around, which is unhealthy for humans and pets. They can also spread diseases to native waterfowl. We can remove these ducks alive and in a humane way. Don’t let these nonnative ducks impact our environment and push out our native waterfowl. If you need ducks removed please call. Bees, wasps, yellow jackets, and similar insects can be a dangerous problem whether you’re working too close to them or just walking by their hives and homes, especially for those with allergies. Don’t try handling this problem on your own. 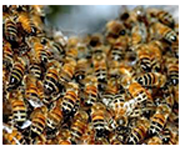 Bees, wasps and other insects pack a sting that can be painful and can lead to multiple stings. Contact us and we will remove them and allow you to go back to your everyday life. If you start hearing high-pitched sounds or beginning to smell something unusual coming from your garage or attic, it may be that you just might have a problem with bats. Plugging up the hole yourself is a bad idea, which could make matters much worse. You could trap thousands of bats in your attic, causing them to die and making the problem bigger. In addition, it is also illegal to prevent bats from being able to leave. Exclusion is the only legal way to get rid of them. However, it is also illegal to conduct bat exclusion during the maternity season, which occurs in Florida every April 16 through August 14. Once August 14 comes around, we can begin the exclusion of your bats. 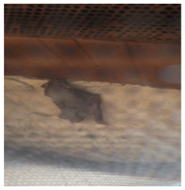 We are knowledgeable when it comes to bats and we are just a phone call away. If you have an animal not listed here, causing you problems, don’t worry – just give us a call. 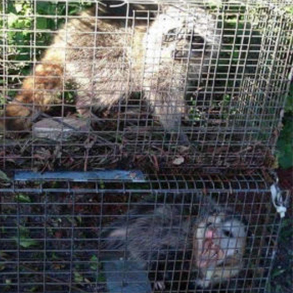 We are professional wildlife trappers specializing in all of Florida’s nuisance wildlife. Contact us today and see what services we offer.